This is perfect for use when wading on big rivers. Its low diameter allows for a slower swing. 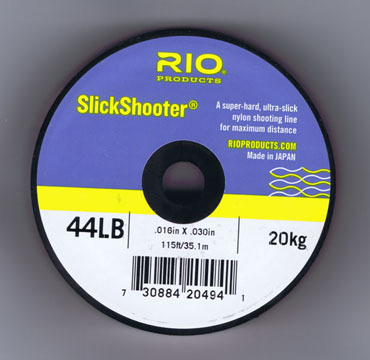 Ideal for long casts and long distance casters. No memory after being stretched. Extremely low coefficient of friction for long distance casts. As a guide 44lb is most suited for use with #10 lines.